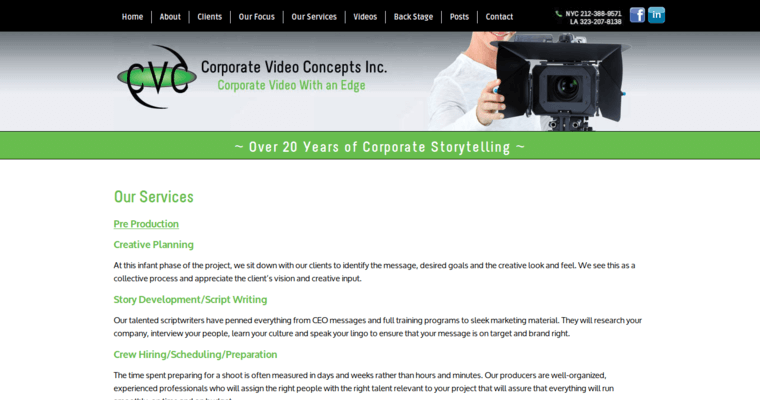 Corporate Video Concepts is a video production company that specializes is corporate communications, training videos and customized marketing. They also film live corporate events. They provide all production services needed, from talented individual workers like producers, directors, makeup artists and writers to technical components like lighting, audio and teleprompters. 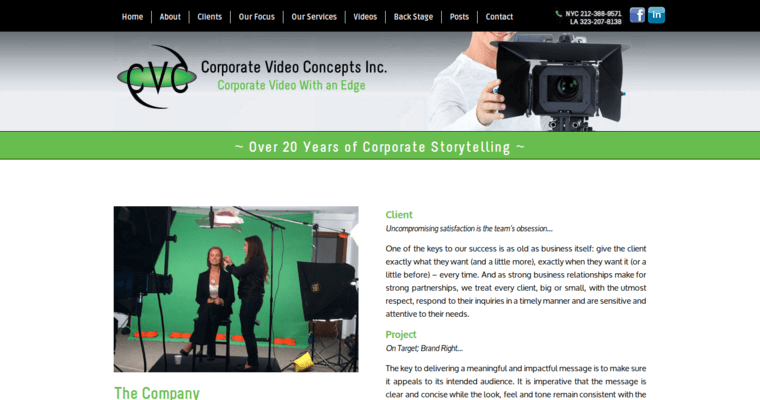 Corporate Video Concepts has experience filming and producing pieces for a variety of genres, including sporting events, fashion shows, reality TV, news shows, and c-level events. 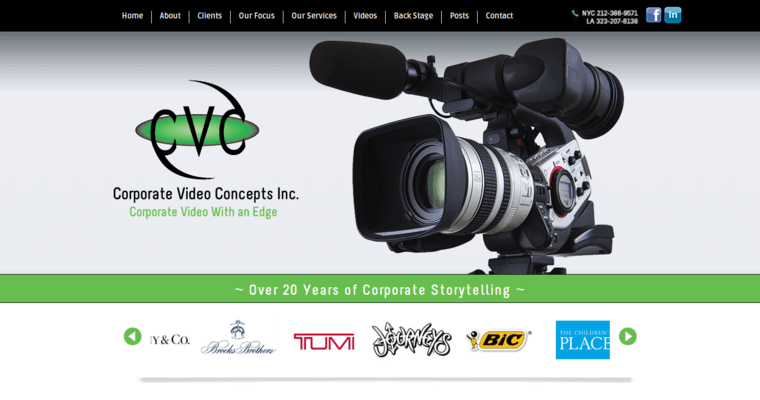 Corporate Video Solutions operates out of New York City, and has full production insurance, which is mandated by most NYC properties in order to permit filming to occur. They have more than 100 clients, including high profile names like Guess, Philip Morris, Unilever, Bravo and Toyota.